DESCRIPTION: Your Repair Profi Conditioner from Diplona is a conditioner with panthenol and wheat protein. 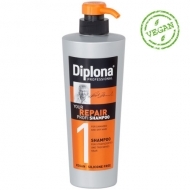 This product nourishes damaged and dry hair and smoothes the hair surface. 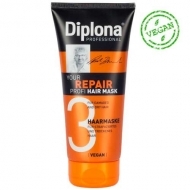 It offers a uniform texture and makes the hair more flexible and is easier to comb.